This reseller plan is tailored for web designers or digital agencies with a small number of clients who require the services of web hosting. Up to 5 user accounts. Free SSL certificate is included. 2 GB This reseller plan contains 2048 MB of HDD space in RAID-protected arrays. The space is shared and contains your websites, databases, email addresses and your cloud accounts hosted on our servers. 5 TB The data transfer quota is used on a monthly basis, meaning that it is restored each month. The data transfer on our servers is measured in gigabytes (GB). In our Control Panel you can easily monitor the traffic you have used from the Account Usage graph located on the left. 5 Domains This reseller hosting plan is designed for 5 main domains (websites) and unlimited number of subdomains. 5 Users This reseller hosting plan is designed for up to 5 different user accounts. 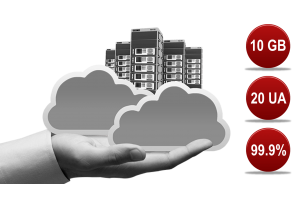 This mean that you, as reseller can sell your hosting space to the maximum of 5 end-users. NO This reseller hosting plan do not include free domain. Want to start your own web hosting business without investing in expensive equipment and infrastructure? We have an exce.. 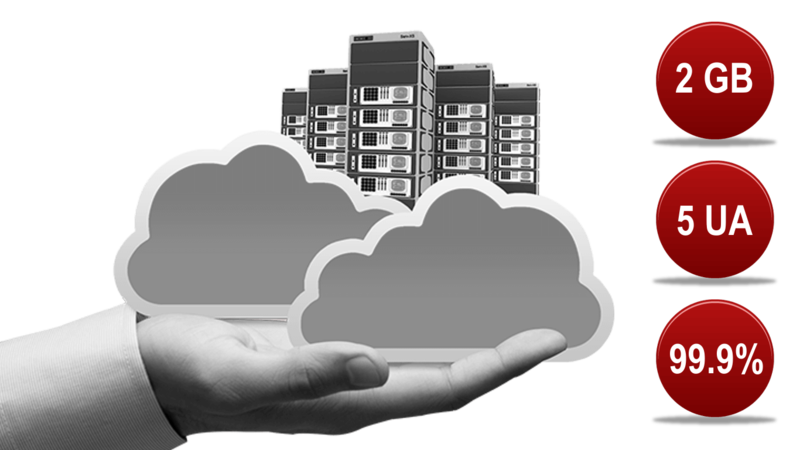 The ultimate solution for resellers of web hosting space with a large number of clients. The best possible way to start ..